We're honored to have landed a spot on the Graduate Programs Fall 2015 Rankings of Top Biomedical Engineering Graduate Programs! This list highlights the best graduate programs in the country in a variety of fields based solely on ratings and reviews from current or recent graduate students posted on graduateprograms.com. 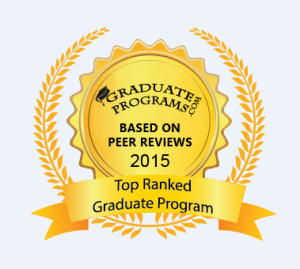 It encompasses reviews posted by more than 75,000 students participating in over 1,600 graduate programs nationwide.